Boiler Services NJ – At Aladdin Plumbing & Mechanical, we are a fully licensed, insured and bonded plumbing and heating company providing boiler services in New Jersey. 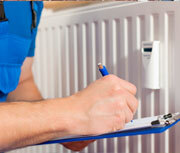 Our heating technicians are highly experienced at working with all types of heating systems including boilers. No matter what make or model your boiler is, our staff can provide you with the exact service you need. 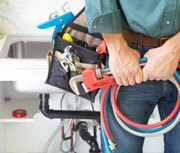 Our boiler services include boiler repair, boiler replacement and boiler installation. There are many signs that indicate you need to have your boiler inspected by a professional including a longer heat up time, no heat, no hot water, strange banging noises, your boiler has a yellow or orange flame or your boiler is using up more gas than usual. Once your boiler starts giving you problems, you need boiler services in NJ. Our heating experts will arrive to your location as quickly as possible and will get to the bottom of your boiler’s problem. At Aladdin Plumbing & Mechanical, we can perform boiler repair and boiler replacement for any boiler brand including Weil Mclain, Utica, Peerless and Crown. If your boiler is beyond a repair, we can perform boiler installation for the new boiler you choose. 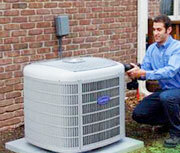 Our heating experts will provide you with the right solution possible while staying within your budget. 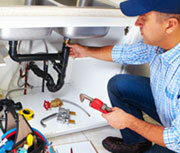 For more information on our boiler services in NJ, call Aladdin Plumbing & Mechanical at (800) 664-8454.